The revolutionary potential of the Bitcoin blockchain – the technology underlying the digital currency – is what led nine of the world's big banks to join together to study ways to apply it to the global financial markets. The big banks realize that for the Bitcoin blockchain to realize that potential, they need to coordinate their efforts to create a universal system. If these heavy hitters succeed in creating such a standard, any bank in the world will be able to use it. It's clearly a huge vote of confidence in the Bitcoin technology from a group of very powerful financial institutions. Other banks are expected to join the partnership over time. A New York-based startup called R3 is coordinating the project. "This partnership signals a significant commitment by the banks to collaboratively evaluate and apply this emerging technology to the global financial system," R3 CEO David Rutter said in a statement. The Bitcoin blockchain is where all the digital currency's transactions are verified and stored. But what has intrigued the big banks is the Bitcoin blockchain's ability to store other data, such as ownership, along with the transaction. 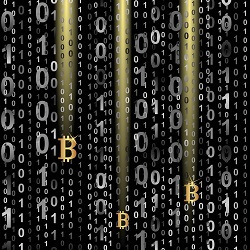 The blockchain makes Bitcoin much more than a digital form of money. It's an entirely new kind of record-keeping system that's faster, more secure, and more transparent than existing systems. "We held several roundtables…to deeply consider what the possible implications of the blockchain were, and what it could possibly do to save money, and time, and to create a better paradigm for the world of Wall Street and finance," Rutter told Reuters.